The Most Ugly Child make high and lonesome Americana with songs that will speak directly to your soul. Debut EP ‘A Wicked Wind Blows’ is now available on iTunes. Get the CD directly from I’m Not From London. 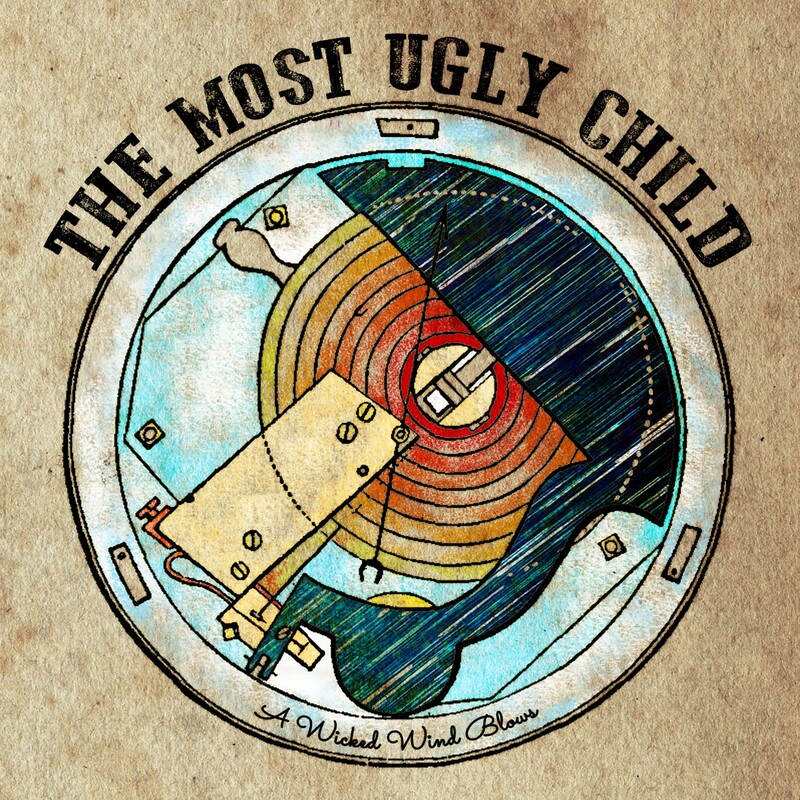 The Most Ugly Child are a five piece Country/Americana band from Nottingham, UK. Formed in November 2012 from various limbs of already established bands (The Broomhill String Band /The Rip-Roaring Success), they have quickly developed a prominent following across the Midlands and beyond. Festival slots in 2013 include Y-not Festival and Southwell Folk Festival, plus support slots for Rose’s Pawn Shop, Ahab, Rob Heron & The Tea Pad Orchestra and Rue Royale as well as headlining many of their own shows. Brought together by a mutual appreciation of country and bluegrass music, the group centre around the partnership of singer songwriters Daniel Wright & Stevie-Leigh Goodison. Influenced by the high and lonesome sounds of Townes Van Zandt, Guy Clark and George Jones, Daniel and Stevie have been likened to some of the great country duos of yesteryear, such as Johnny and June Carter-Cash. Their original material blends seamlessly with old time country classics and ‘A Wicked Wind Blows’ features not just stunning lyrics and vocal harmonies but also Max Johnson and Matt Cutler (The Broom Hill String Band) on upright bass & drums respectively and Nicole J Terry (The Rip Roaring Success) on Fiddle. The bands new material perfectly showcases their emotive lyrical content and strong sense of harmony; Daniel speaks through his handed down guitar whilst Stevie-Leigh’s heartworn vocals show musical maturity far beyond her years.